RFI - How bad is it? 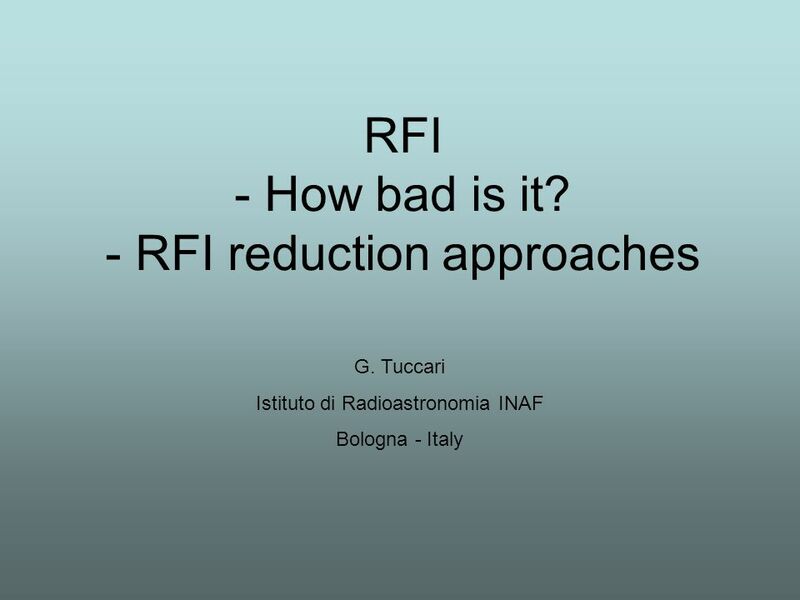 - RFI reduction approaches G. Tuccari Istituto di Radioastronomia INAF Bologna - Italy. 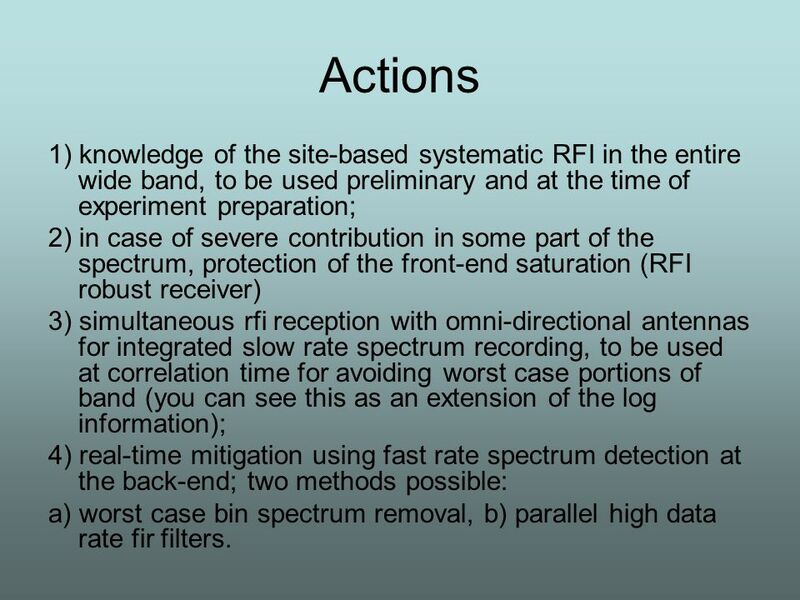 6 Actions 1) knowledge of the site-based systematic RFI in the entire wide band, to be used preliminary and at the time of experiment preparation; 2) in case of severe contribution in some part of the spectrum, protection of the front-end saturation (RFI robust receiver) 3) simultaneous rfi reception with omni-directional antennas for integrated slow rate spectrum recording, to be used at correlation time for avoiding worst case portions of band (you can see this as an extension of the log information); 4) real-time mitigation using fast rate spectrum detection at the back-end; two methods possible: a) worst case bin spectrum removal, b) parallel high data rate fir filters. 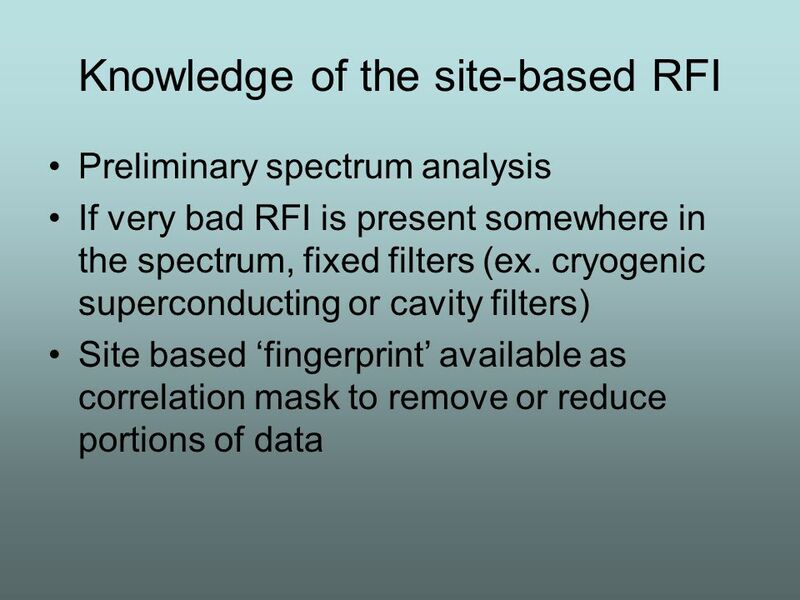 Download ppt "RFI - How bad is it? 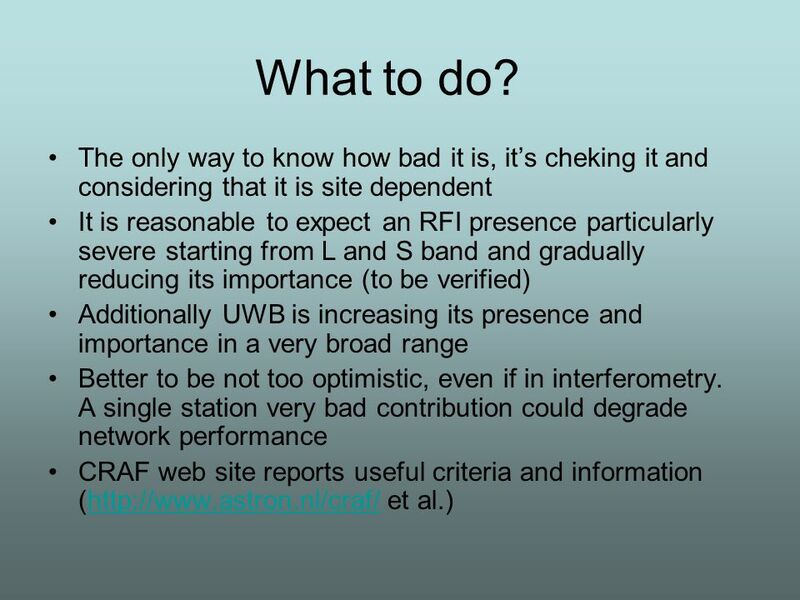 - RFI reduction approaches G. Tuccari Istituto di Radioastronomia INAF Bologna - Italy." Stratagem EH4 Field Evaluation of Data Quality. 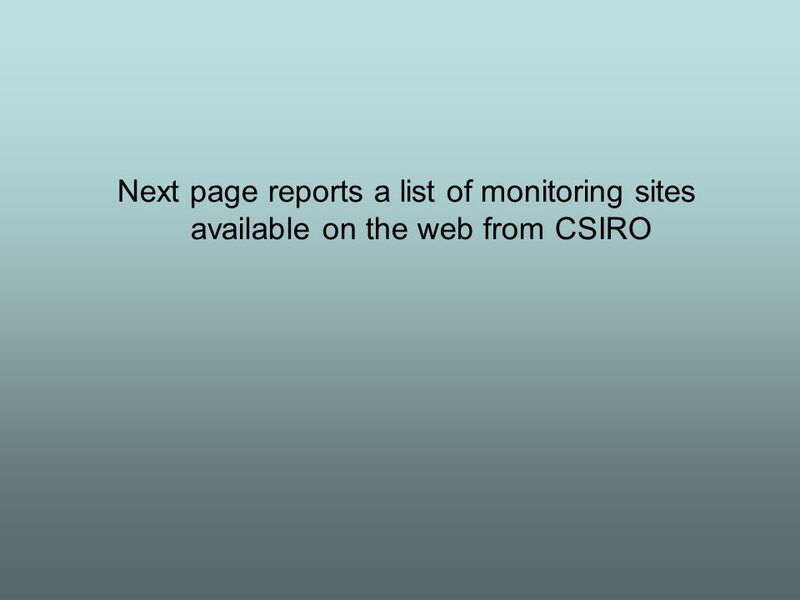 VLBI progress Down-under Tasso Tzioumis Australia Telescope National Facility (ATNF) 25 September 2008. SCARIe: Realtime software correlation Nico Kruithof, Damien Marchal. 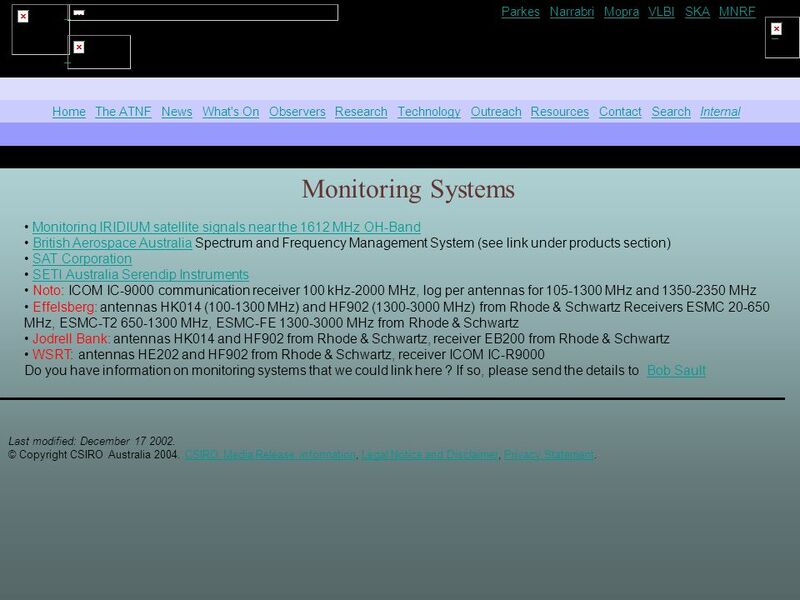 E-VLBI down-under Tasso Tzioumis ATNF, CSIRO July 2005 Towards e-VLBI. Hardware Integration of the Prototype Wes Grammer NRAO September 24-26, 2012EOVSA Prototype Review1. SKAMP Square Kilometre Array Molonglo Prototype. Supporting Institutions  University of Sydney  Argus Technologies  ATNF  ICT Centre. Ben Barsdell Matthew Bailes Christopher Fluke David Barnes. 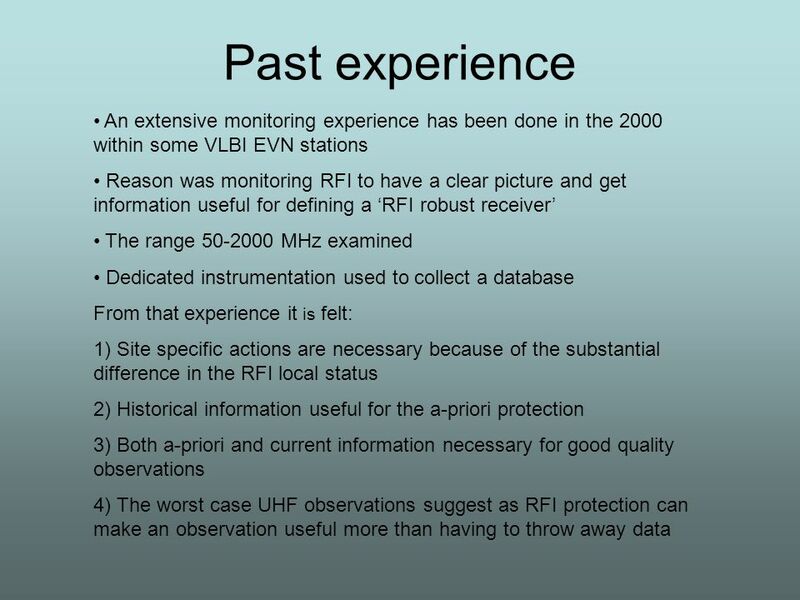 HF for the Next Millennium The DX advantage you’ve always wanted! 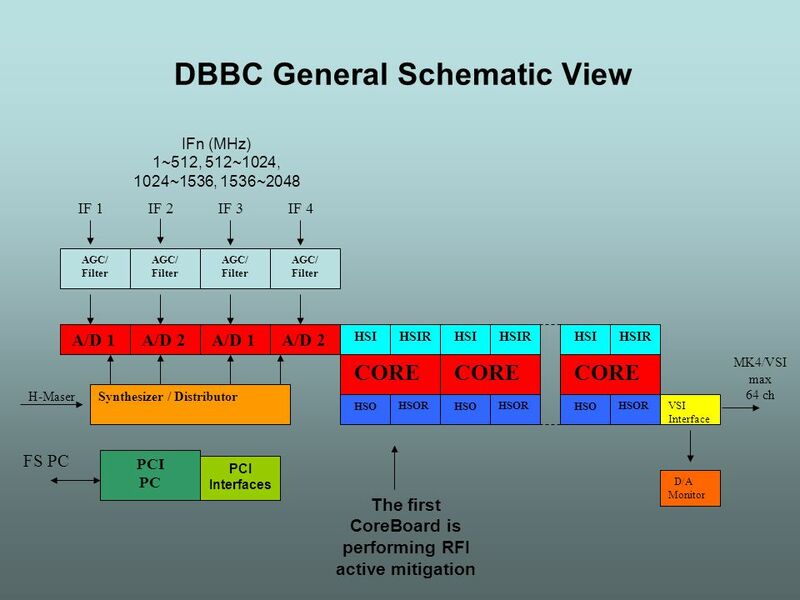 SUPRESSION OF LORAN-C NAVIGATION SIGNAL IN DIGITAL CAVE RADIOS (AN EXPERIMENTAL APPROACH) Mr. Antonio Muñoz Group of Technologies in hostile Environments. Paul Alexander DS3 & DS3-T3 SKADS Review 2006 DS3 The Network and its Output Data Paul Alexander. ACHIZITIA IN TIMP REAL A SEMNALELOR. Three frames of a sampled time domain signal. 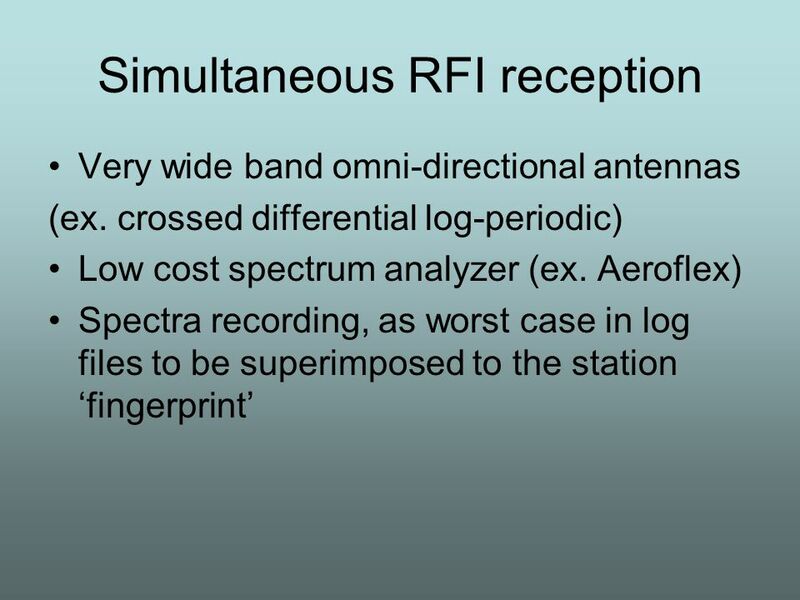 The Fast Fourier Transform (FFT) is the heart of the real-time spectrum. 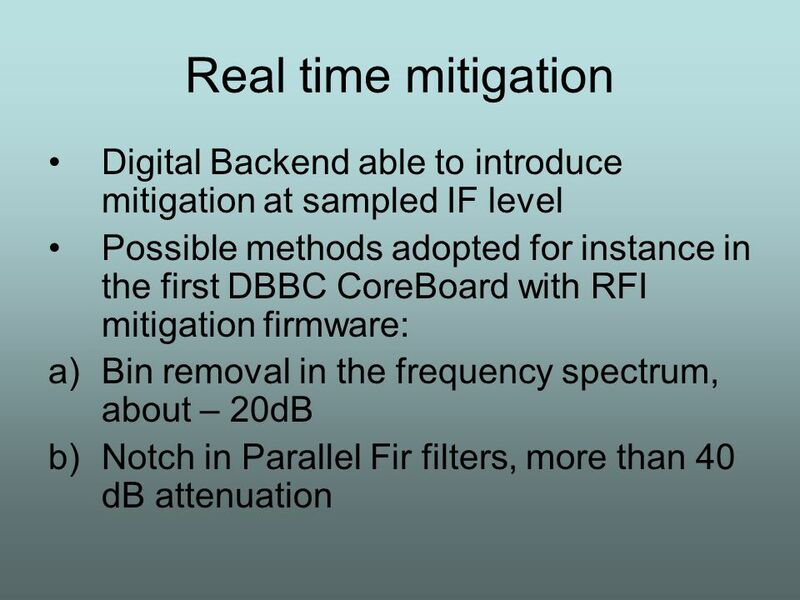 Baseband Processing and SKA Simulations using Supercomputers: Enhancing Australia‘s radio astronomy facilities and its bid for the SKA Steven Tingay Swinburne. Spectrum Management: Parkes & ATCA Briefing for ATUC members CSIRO ASTRONOMY AND SPACE SCIENCE Erik Lensson | Head, ATNF Engineering Operations 30 October. AUDIO COMPRESSION TOOLS & TECHNIQUES Gautam Bhattacharya. Nov 3, 2009 RN - 1 Jet Propulsion Laboratory California Institute of Technology Current Developments for VLBI Data Acquisition Equipment at JPL Robert.